JP MORGAN FRAUD CEO BANKSTER JAMIE DIMON REJECTED 175 TIMES TRYING TO PATENT "BITCOIN STYLE" PAYMENT SYSTEMsteemCreated with Sketch. JAMIE DIMON IS A FRAUD & ALL BANKS ARE FRAUDS! 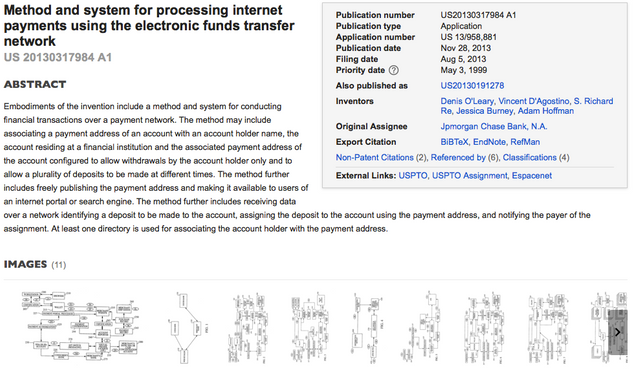 How many times is Jamie Dimon going to try to patent JP MORGAN'S "Bitcoin-style" payment system??? 150 times wasn't enough??? 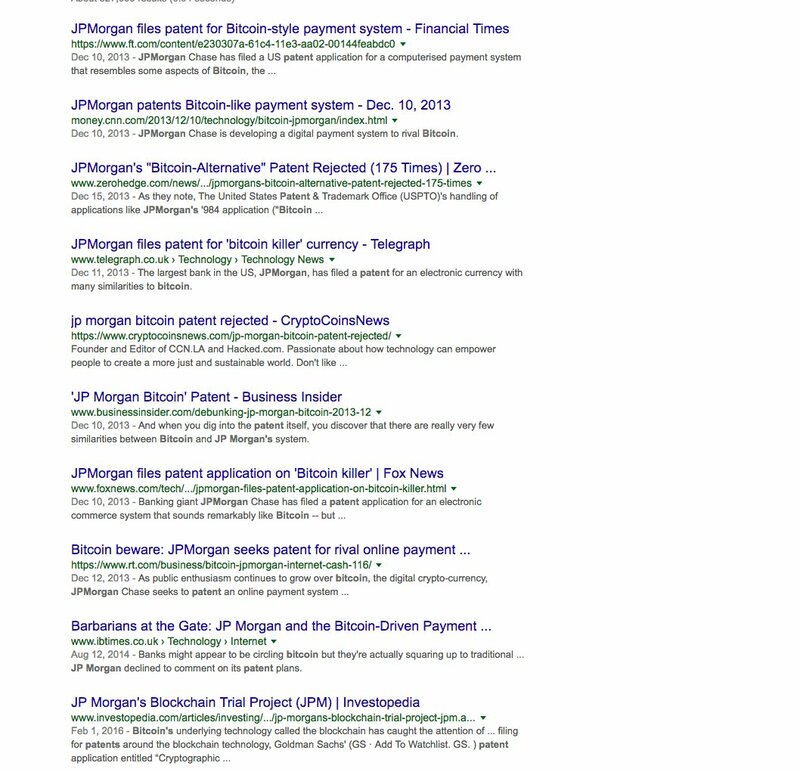 On August 5, 2013 JPMorgan Chase & Co (JPMorgan) filed an application for an electronic mobile payment system which has identical similarities to Bitcoin. JPMorgan, all of the claims, totaling 175 claims, as of October 18, 2013, for published US patent application 20130317984 (the ‘984 application) have been either canceled or rejected. Every year, this Fraud comes out and starts bashing Bitcoins . 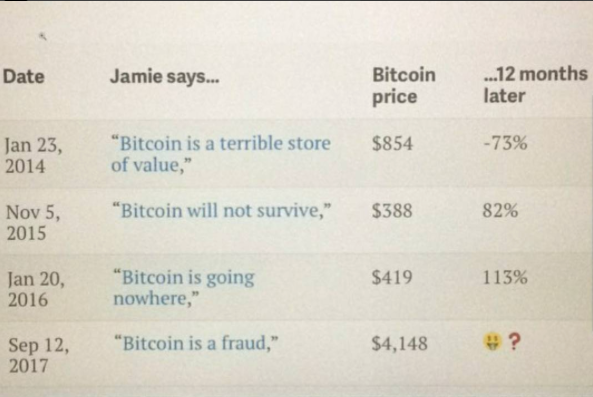 He even bashed and praised Bitcoin in the very same year of 2015! How are you going to bash Bitcoin in 2015 and within the same year say that JP Morgan can learn from Bitcoin????? FRAUD EVERYBODY! The massive evidence is piling up that JAMIE DIMON & JP MORGAN ARE HEAVILY INTERESTED & INVESTED INTO BITCOIN & OTHER BLOCKCHAIN TECHNOLOGY! Blind investors that are invested in JPM and other banks are being fooled! That's me cheetah bot, the same person posting the same content! My messages always get deleted on the stock boards because I'm telling too much of the truth so I decided to post it here.